Daktronics will design, manufacture and install a new LED video display for as well as two LED video displays at the Western Kentucky University. The installation will begin this spring to have the displays up and running for events in 2018. The new end zone display for football will measure 32.5 feet high by 70 feet wide featuring a 15HD pixel layout. The new corner displays for basketball will measure 18 feet high by 44 feet wide featuring 10-millimeter line spacing. They will bring crisp, clear imagery with wide-angle visibility to fans in every seat at each venue. These displays will feature variable content zoning allowing each to show one large image or to be divided into multiple windows to show all of the content fans crave, including live video, instant replays, up-to-the-minute statistics, graphics and animations, and sponsorship messages. "The new displays for WKU will bring their fan experience to the next level," said Kyle Adams, Daktronics regional manager. "The upgrade at football, basketball and soccer with LED technology and new audio system will give flexibility and 'wow factor' to all Hilltoppers events." 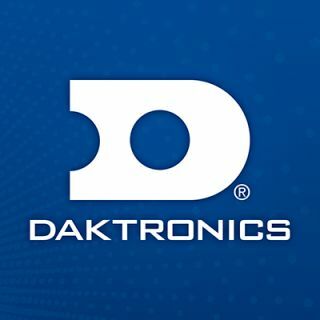 Diddle Arena will receive a custom audio system from Daktronics. The audio system will be integrated with the video and scoring system to provide full-range sound reproduction while delivering clear and intelligible speech. This powerful system will combine with the displays to provide a dynamic audiovisual experience for Hilltopper fans. Daktronics will include its powerful Show Control System with this installation. This industry-leading system provides a combination of display control software, world-class video processing, data integration and playback hardware that forms a user-friendly production solution. In addition to the equipment installation, WKU will also receive a bank of hours for the creation of digital content to be produced and delivered by Daktronics Creative Services at the request of the university.